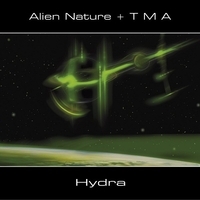 SynGate Records new Alien Nature + TMA, BIOnight, etc. – Chain D.L.K. SynGate Records new Alien Nature + TMA, BIOnight, etc. that Germany and some crossborder countries have to offer. Our 10th anniversary of the german EM festival Satzvey Castle will take place on 7th May 2011.
and we change you bad CD-Rs as long as you like the music to listen to. Wolfgang Barkowski’s (Alien Nature) and Torsten M Abel’s (TMA) 2nd collaboration is a small masterpiece of EM, Berlin School style. Tauchen Sie ein in die elektronischen Klangwelten und flirrenden Sequenzen von Alien Nature & T M A. Begeben sie sich mit Wolfgang Barkowski alias Alien Nature und Torsten M. Abel alias TMA auf eine musikalische Reise durch Zeit und Raum unter dem Sternenzelt. 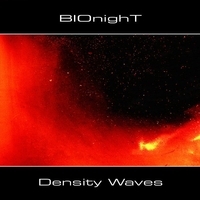 Here it is, at last: “Density Waves,” BIOnighT’s ninth album. We’re very happy with the result, I must say it’s one of the very few albums of ours that came out easily, spontaneously, and without too much fighting (which is usually the main ingredient of all our works 😉 – I think that, just like the world, we might be entering a new phase. Just like we did with our previous albums, we tried to find an individual personality for this work, both in terms of sounds and atmosphere. 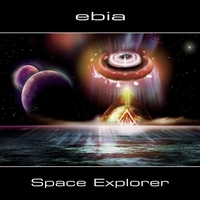 Unlike “Resonance of the Spirit,” which merged acoustic instruments and electronics, this album is totally electronic. Some tracks explore EM’s poetic side, others are wild, but all of them are paths we decided to walk to see what happens. A new element for BIOnighT we introduced is the use of some sounds we sampled, such as an old printing machine (courtesy of a local printing company), voices, my washing machine, etc. This is a direction we’ll probably be exploring further in the future. Anyway, we hope you will follow us in this voyage and that we’ll be able to take you to faraway places with us once more. Maciej Wierzchowski aka Vanderson is an analoque/digital synths artist from Poland. 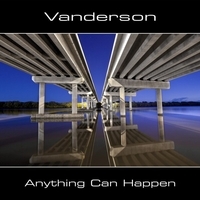 ‘Anything Can Happen’ is the newest Vanderson album with shorter tracks. 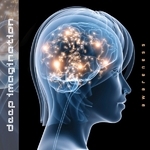 A fine blend of TD-like music of the end 80s. Maciej Wierzchowski aka Vanderson is an analoque/digital synths artist from Poland. 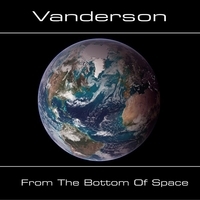 From The Bottom Of Space is the musically successor of Earth Moving with shorter studio tracks. 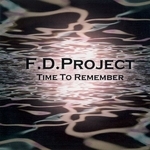 Again a fine blend of TD-like sequencer music of the 80s. 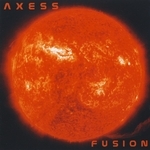 The Pyramid Peak keyboarder Axel Stupplich presents us a special jewel of electronic music: “Axess – Fusion” His previous album “Axess – Voices Of Dawn” already featured fine, dreamy-atmospherical sounds. 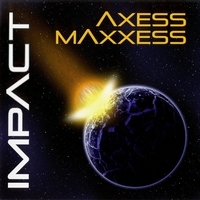 Axess picks up this style. This time he has been inspired by astronomy, by the sun and its energy and by the night sky. In comparison to his previous album “Fusion” puts more weight on sequences. By this his new CD has turned into an excellent Berlin School album with sensitive melodies and sounds within a fantastic dreamy atmosphere.